ASEAN, the Association of Southeast Asian Nations, was founded in 1967 “to strengthen further the existing bonds of regional solidarity and cooperation.” From the original five member countries, ASEAN has grown to ten members covering more than 1.7 million square miles—over half the size of the continental United States—and a population of 626 million with an economy valued at $2.4 trillion. The ASEAN Treaty of Amity and Cooperation (TAC) lays out the key principles of non-interference and cooperative dispute resolution for members. 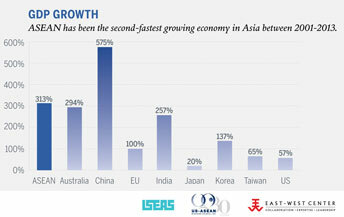 The US acceded to the TAC in 2009 enabling it to participate in the East Asia Summit. 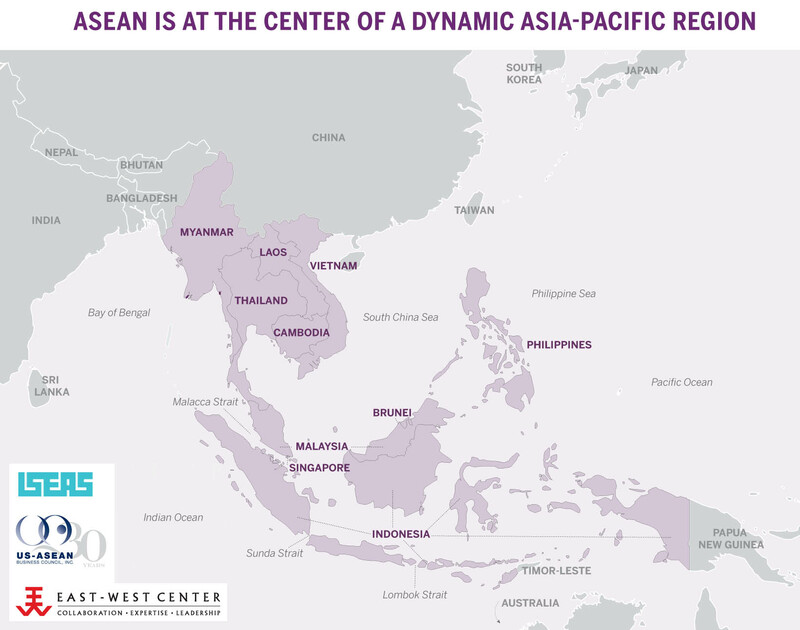 The ASEAN Economic Community (AEC), which is scheduled for implementation in December 2015, aims to create one of the largest single market economies in the world, facilitating the free movement of goods, services, and professionals. Chair rotates among member states. 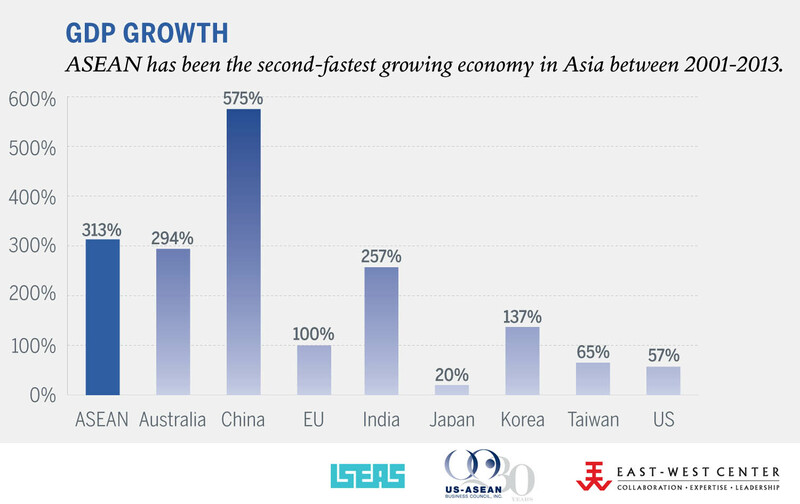 ASEAN is the second-fastest growing economy in Asia after China, expanding by 300% since 2001 and exceeding the global growth average for the past 10 years. 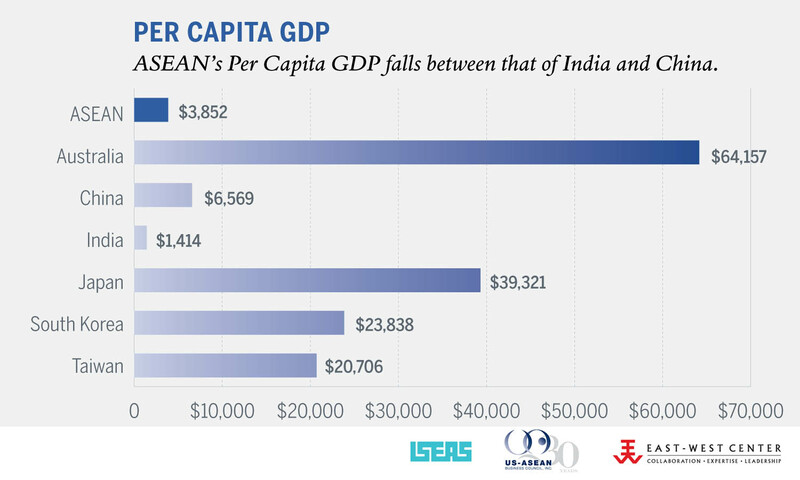 Today, ASEAN has a combined GDP of $2.4 trillion and a consumer base of 626 million. 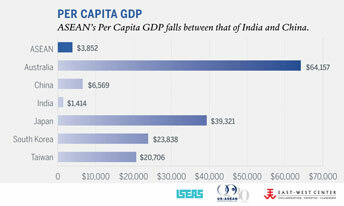 ASEAN’s growing middle class, purchasing power, and trade ties all point to greater US-ASEAN benefits over time. 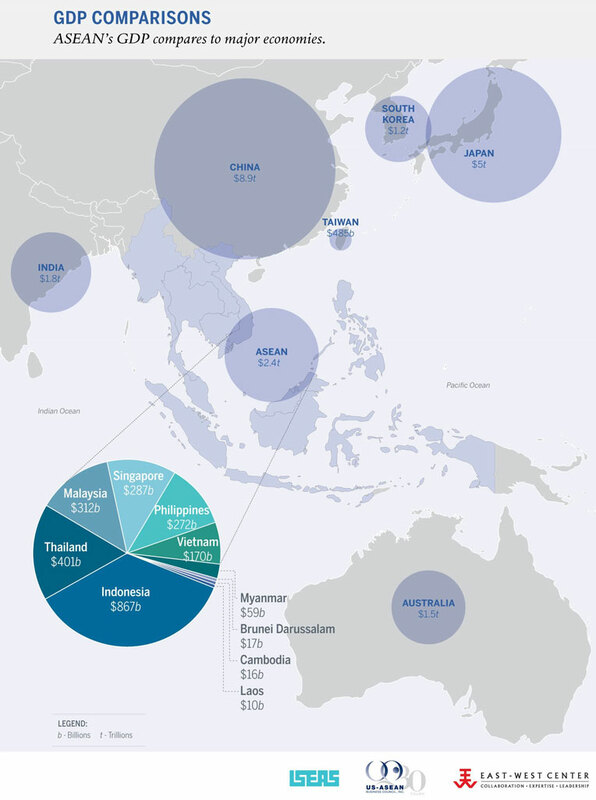 ASEAN has five regional free trade agreements with Australia and New Zealand, China, Japan, Korea, and India.